﻿ Do You Know How to Properly Light Up a Living Room? In what concerns lighting, doing it right will completely change the look of a space. How to light up a living room? This is a pertinent question and there are so many of us that would love to have the answer. We found an article at Apartment Therapy that may be very helpful and it inspired us doing this article. In what concerns lighting, doing it right will completely change the look of a space and we learnt the importance of having 3 different types of lighting: general, task and accent. Let’s learn how to do it! “The first step when lighting any room is to ask yourself: what happens here?Different activities require different types and levels of light. 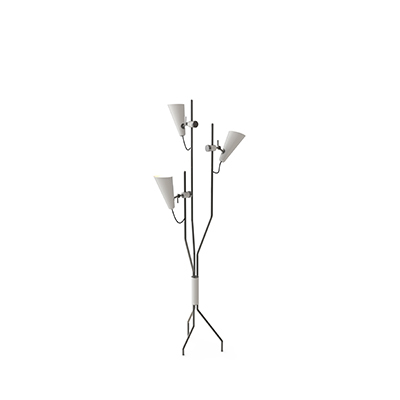 A well-lit living room will have three different types of lighting: general, task and accent. These are used at different times of day and for different purposes, and key to a functional lighting scheme it to know how and when to mix and use them. Not all homes have a ceiling fitting in the living room, and if you have lots of natural light during the day, you might not need overhead light at all. But if you have the fitting, a central pendant or chandelier helps to zone the space and create a focus. Similarly, spotlights or angled spotlights will create an even layer of overhead lighting. 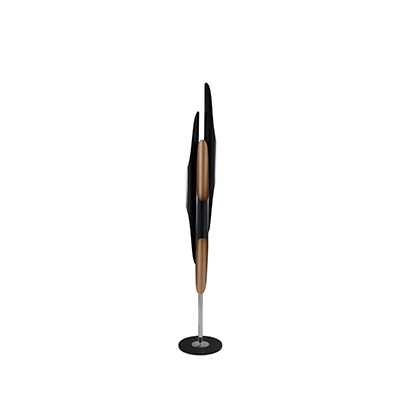 In the absence of any overhead lights, a large, arced floor lamp will do the trick. If you watch TV in the living room, choose the surrounding lights carefully to avoid television glare. It can be distracting to have a bright overhead light above or in front of a TV set, so ensure ceiling lights are dimmable or use offset wall sconces or floor lamps instead. Specific task lighting, such as reading lamps, are important if you read frequently, have low levels of natural light, and especially if you ever work in your living room. A floor lamp spaced between two armchairs can also count as task lighting, as conversation is a task, too (at least in living room terms). Hope you liked. Feel free to pin the images to your favourite interior design board. And don’t forget to explore our Pinterest boards for more Floor Lamps ideas and inspiration.